Your wedding is a unique reflection of who you are. That’s why the process of getting to know you before your wedding is important to us. The more we learn about you as a couple, your family dynamics, and the reasons you’re celebrating in the way that you are, the more we will have to work with when creating images that truly reflect your personalities. Shots that are unguarded, natural, intimate, and emotional are what wedding photography should be all about—and they’re the sorts of shots we look forward to capturing most. We would love to schedule a time to meet 2-4 weeks before your wedding day. That will give us a chance to go over details beforehand, and it will help me learn more about what you have planned for the day and how it will unfold. Until then, we have made this guide to help start the planning process and to answer any questions you may be wondering about. One month out, The Wedding Artists Collective will email you the invoice for your final payment. Around this time, we will also send a questionnaire regarding your wedding location and scheduling details—this gives me the opportunity to prepare based on how the day’s events are set to unfold. We will confirm the details from your questionnaire with you, making sure there have been no significant changes. We will also answer any last questions you might have about logistics for the day. Time to celebrate! We will follow your timeline as the day goes on, and document all the wonderful events that come to pass. After your wedding day, the editing process begins. We will have everything ready for you to view in approximately 8-10 weeks, at which point you’ll be able to view your images online in a slideshow and proofing gallery. From there, you’ll be able to download and order high-resolution photographs immediately. We will also send you the collection on a USB drive for backup purposes within the weeks following online delivery. If you getting a custom fine art book made through us, once you’ve received your collection of images, you’ll be able to select choices for your wedding album from the proofing site. Once we have received your selection, we will start on the book design and upload a draft that you’ll be able to view online and make any change requests. Then, after you’ve signed off on the final edit, we will place the order. Your album will arrive in approximately four weeks. Creating a timeline of your wedding day will help guide your planning and ensure a smooth flow of beautifully captured memories. Here are a few key “events” to consider, as well as a recommended time allotment for photographing each one. Some grooms prefer not to be photographed at this stage of the day for location reasons or otherwise. Please feel free to do whatever feels best for you. We like to arrive at the bride’s prep location just as she’s finishing her hair/makeup—that way, we can get a few photographs of the final touches. Once that’s done, we will document any meaningful accessories or items present, so remember to gather everything so that they’re ready for us to shoot when we get there (stationery, jewelry, flowers and any family heirlooms you are incorporating into the day). Ceremony length varies. A short and sweet ceremony might last 15 minutes; a church service more like 30-45. Whichever you choose, allow ample time to greet guests afterward (about half an hour) unless you plan for a quick exit. The amount of time devoted to family portraits can vary widely, too, depending on size and family/group combinations. We recommend keeping the different combinations to a minimum—any more than 10 can start to eat into cocktail hour and/or the time allotted to couple portraits. Another option is to do all family photographs prior to the ceremony. Timing depends on how many locations you’d like to visit (around 30 minutes per location is ideal). Consider how much time you’re willing to spend away from your guests—some couples prefer to keep personal portraits to a minimum so they can be with friends and family during post-ceremony cocktail hour. Every wedding reception is unique and really depends on what matters to you. Your first dance, cake cutting, dancing, friends and family sharing your joy. We recommend deciding whether you’d like complete reception coverage or would prefer to have us stay just until the dance floor gets moving. Here’s a list of family photo combinations to keep in mind for post-ceremony portraits. As mentioned, we recommend keeping the number of combinations to ten or less. I’ve also found it’s generally best to start with the largest group first and to pare down from there. 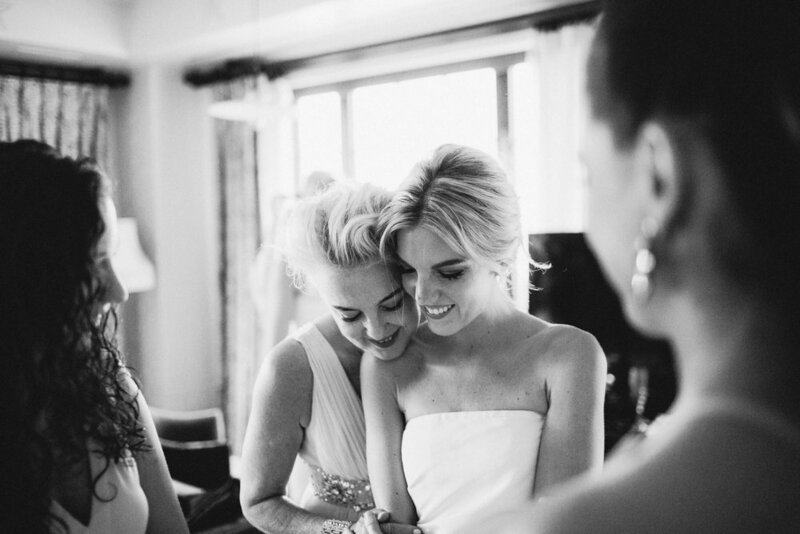 Before the wedding, we recommend asking family members what portraits are important to them. And, again, if there are any unique family dynamics we should be aware of, please let us know in advance. This will help ensure that the portrait process is as smooth and stress-free as possible. Here is a list of the common combinations. Allow 2 minutes for each combination, so if you ideally would like to keep this portion of the day to 20 minutes max, only choose a total of 10 combinations. Any other photo combinations of friends & family? First, decide whether you prefer a nature background (trees, water, etc.) or one that’s more urban (buildings, streets, sidewalks), and consider what’s most practical based on the location of your wedding. If there’s travel between your ceremony and reception, think about what’s in close proximity to each place and whether there are sites in those areas that you like—it’s always nice to find locations along the way so we lose as little time as possible traveling. 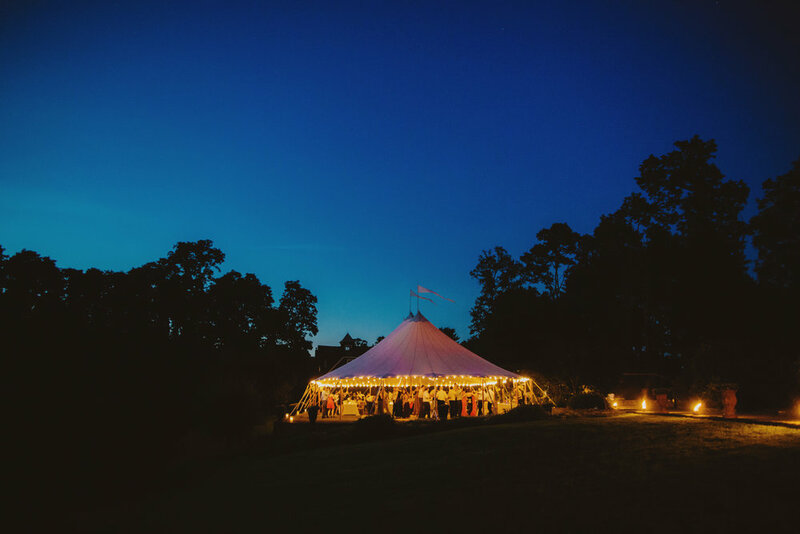 If your ceremony and reception are at the same venue, we can make the most of what’s available to us there. Just let me know what you’re drawn to about that particular place, whether it’s the natural beauty or the architecture, and we can work from there. If the location of your choice is a considerable distance from your reception site, consider having your portraits shot before the ceremony. That way, you’ll be able to go straight to cocktail hour with your guests when it’s over. Bring umbrellas and weather-appropriate shoes. We’ll still get great shots, so not to worry and often, rain shots end up being everyone’s favorites! If you are getting ready outside of your own home or venue and need to book additional accommodation for where you will be getting ready, our recommendation is to choose an Airbnb / VRBO over a hotel room. Hotel rooms can often be small and dark, whereas renting an entire home for you to get ready in makes for a more relaxed experience, as there is space for everyone to spread out and there will be more choices in terms of rooms to photograph in (and private homes always have so much more character than hotel rooms). It also gives me a larger variety of light to work with coming in through the windows. Light is the most important part to creating beautiful images, along with a great venue with character, it really has a big impact on the quality of images we can create for you. A fine art album is a gorgeous way to display a large number of photographs from your wedding day—a 10x10” or 9x12” custom-designed book features approximately 120 images over 45 spreads. The quality of the book itself is unparalleled, printed on thick archival matte paper and bound in your choice of leather, cloth, and embossing styles. Each is $1750. In addition to fine art albums, we offer a full range of photographic prints. These make great additions to your wedding package, not to mention wonderful gifts for parents and loved ones. Each is of highest quality and delivered with satisfaction guaranteed. Hahnemuhle photo rag paper is a thick fine art material similar in appearance to watercolor paper. If you’re considering printing one large image for display in your home, I highly recommend this option—the look and feel is beautiful, and the quality is outstanding. If you decide to hire a videographer, it’s important to choose someone whose aesthetic works well with our style of shooting. In the past, we have worked alongside videographers whose visions differed greatly to ours, and that separateness has had an impact on the final photographs. When our styles match, however, we each complement and enhance the other’s work. That said, you might be wondering what’s most important to look for when reviewing your options. Generally, we find we work best with videographers who take a relaxed, documentary-style approach to shooting, and who opt for understated storytelling with minimal directing. Our goal is always to capture the most honest moments of your day; having a videographer with the same mindset is key. We also find it easiest to work alongside one videographer (two at most) rather than a team of shooters. There’s no way around including a video team in a photograph, after all, if there’s a camera at every angle. Need a recommendation? Our favorite videographers are listed in my vendor recommendations below, and I can’t speak highly enough about them. Our styles blend seamlessly, and we love the work we’ve produced together. We believe the engagement session is just as important as the wedding. Your wedding day is about celebrating with family and friends; the engagement shoot focuses on just the two of you. It can add so much to the story of who you are as a couple, and offer an ideal opportunity for you to become more comfortable in front of the lens prior to your wedding day. Engagement sessions can be as simple as a stroll through your favorite park, a stop at your favorite coffee shop, or a visit to the location where your proposal occurred. To best tell your story, we prefer to shoot in a location that’s meaningful to you, as I believe this brings an added depth to the final images. Engagement photos are perfect for save-the-dates, invitations, or thank you cards—but please keep in mind that it’s best to book early if you’d like to use the photographs as part of your wedding stationery.